Your friends and family will love my tiramisu recipe. It's easy to make and I guarantee it will be the Best Tiramisu you've ever had! Can you believe that this classic dessert can be made in 30 minutes? Up until this week, I always thought the best Tiramisu I ever had was in Rome, at this sweet little restaurant right near the Spanish Steps. But after tasting my own version of this classic dessert, I’ve changed my mind. My girls at school wanted to learn to make Tiramisu. I have made it at home for years and it was always very creamy and delicious, but I was never thrilled with how it held up. So I started trolling for recipes to see what I might be doing wrong. And let me tell you there are as many different Tiramisu recipes as there are Italian grandmothers, each with their own little twist. Some which weren’t tiramisu at all. What I did find was a recipe that took me back to a time when life was simpler. When food had become something almost magical to me, something that resonated deep down inside of me. Something that I knew I could do and be good at. Taping into this ability had been a gift from God and Mama Jeanette taught me how to use it. What Ingredients to I need to Make Tiramisu? I’ve had so many questions about the process of making my Tiramisu that I’ve added step by step pictures to help you along the way. Let’s start by gathering our ingredients. In chef speak this is called a mise en place (everything in its place). 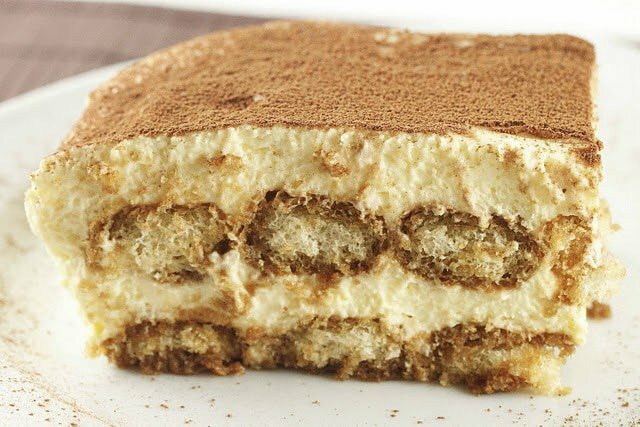 Is it difficult to make Tiramisu? It’s a lot easier than you might think to make tiramisu. 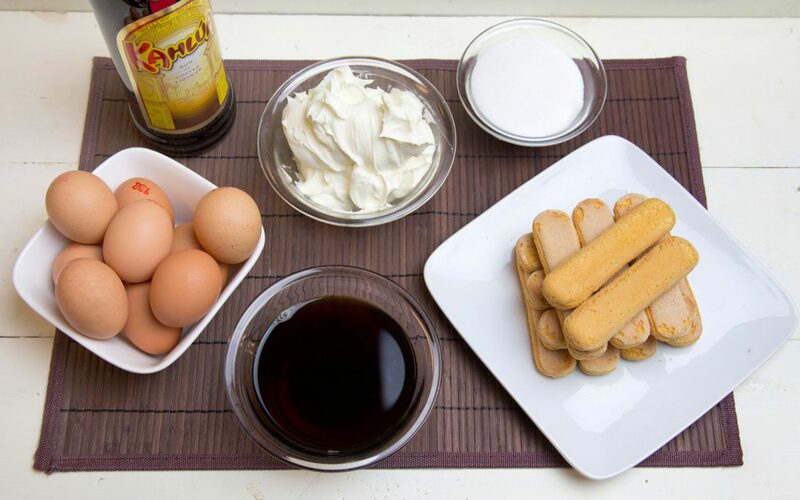 Just follow my step by step instructions and you’ll be making tiramisu better than your favorite local restaurant! The first step is whipping the egg yolks (approx. 1/2 cup) and the sugar until they are very thick. One of the mistakes people tend to make is under whipping the egg mixture. This is done using a double boiler method with a bowl over a pot of simmering water. I like using a bowl because there are no corners that I can’t get into. This is your Sabayon. Chef Dennis Tip: Always use the freshest products available. If the eggs, cream or mascarpone are close to the expiration date, they can break down in the recipe. Next, add the mascarpone and whip it in until its light and fluffy. Chef Dennis Tip: Whipping your cream is also where some people make a mistake. The idea with whipped cream is to do it slowly. Using an electric mixer begin whipping the cream on low, increasing the speed over 10 minutes. This makes a whipped cream that will last for days in your fridge without the aid of gelatin. If you make whipped cream as a topping for desserts don’t forget to add the sugar and vanilla, for the tiramisu, we are not adding sugar or vanilla to the mixture. 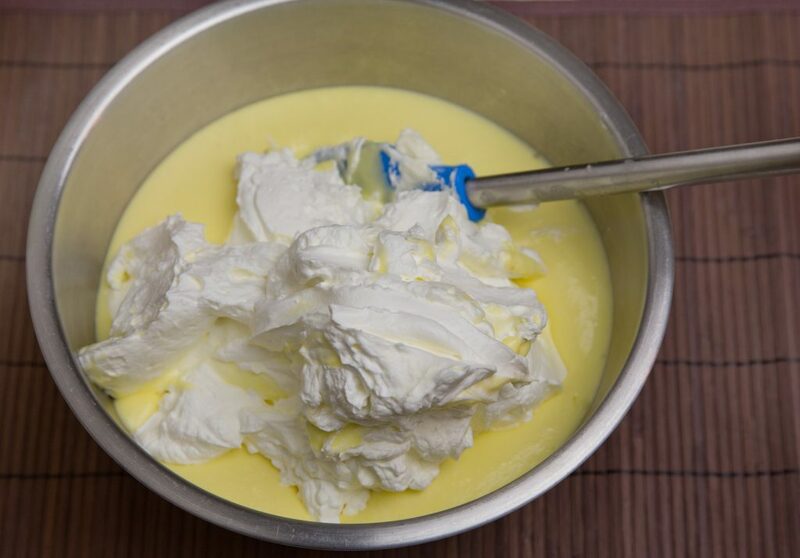 The last step is gently folding in the whipped cream into the sabayon mixture. Do not hurry this step and use a spatula or large spoon to fold the whipped cream in. You want to keep as much of the air in the whipped cream intact, so the tiramisu cream is light and fluffy. The next step is assembling the tiramisu. Chef Dennis Tip: Soak the ladyfingers in the coffee mixture briefly. Don’t let them get soggy, it will ruin the dessert? Chef Dennis Tip: Only use Crunchy SAVOIARDI (ITALIAN LADYFINGERS) Cake style ladyfingers will get too soft. Then add your first layer of tiramisu cream. Use half of your mixture and spread it evenly. Add a second layer of prepared ladyfingers to the pan. Add the remainder of the tiramisu cream and spread evenly. Dust the tiramisu with cocoa and you’re finished! Now comes the hardest part. Let the tiramisu set up for at least 6 hours, overnight is best. This tiramisu can be made a day or two ahead of time and should last in your fridge for up to a week. Yes, you can freeze tiramisu. Use plastic wrap and place it directly against the surface (without cocoa) to prevent a skin from forming, cover tightly. Repeat the process with an additional layer of plastic wrap and then cover with tin foil and freeze. To defrost, let it sit at room temperature for 15-20 minutes. After it has defrosted, add the layer of cocoa and serve. How Long Can I keep Tiramisu in the Refrigerator? Personally, I have kept tiramisu for up to a week. The flavors actually get better after 2 days. If you don’t think you’re not going to finish it in a week, I would consider freezing part of it. (Or make your neighbors very happy by offering them some). Can I Make the Tiramisu ahead of Time? You can easily make the tiramisu up to 2 days before you need it. How do I make enough for a 9 x 13 Pan? To make a larger version of this recipe that will fit in a 9 x 13 pan simply multiply the ingredients by 1½ (one and a half). This will come very close leaving you with a little extra cream to snack on while you wait for the tiramisu to set. Did you make this? Please RATE THE RECIPE below! Please SUBSCRIBE and FOLLOW ME on FACEBOOK, TWITTER, INSTAGRAM and PINTEREST! 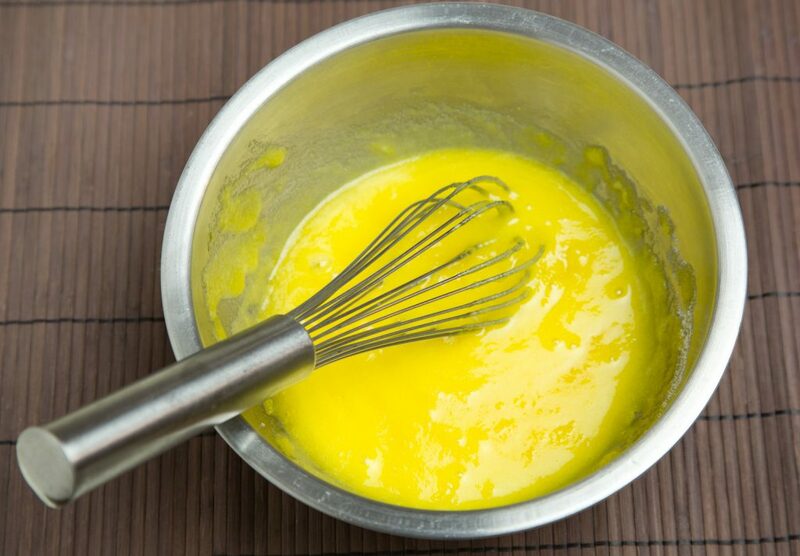 Combine egg yolks and sugar in the top of a double boiler, over boiling water. Reduce heat to low, and cook for about 10 minutes, stirring constantly. This is your sabayon, remove from the heat and whip yolks until thick and lemon-colored. 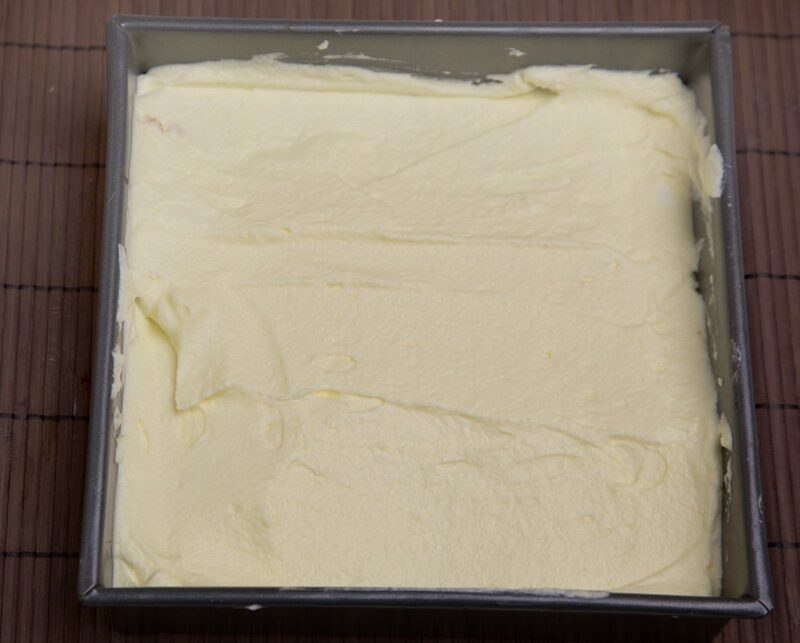 Allow to cool briefly before mixing in mascarpone. Add Mascarpone to whipped yolks, beat until combined. 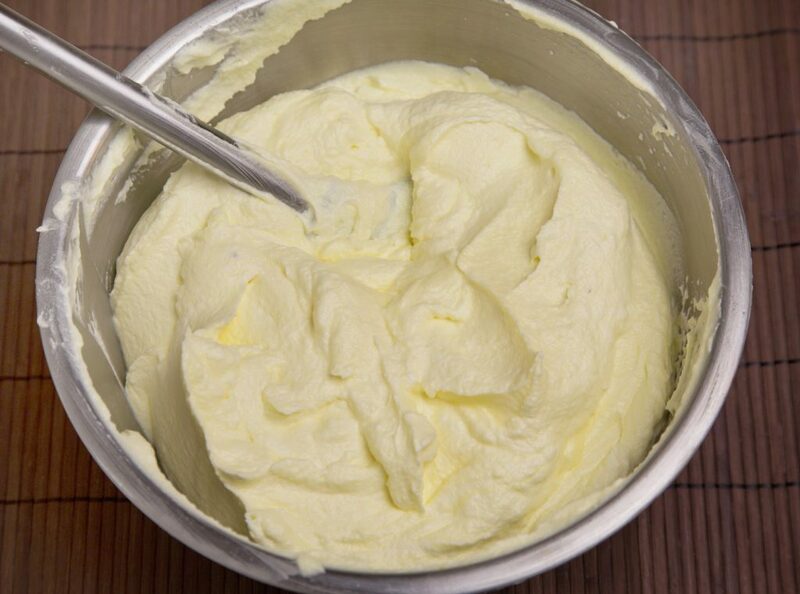 Gently fold the whipped cream in the mascarpone sabayon mixture and set aside. The mascarpone does not have to be at room temperature, but it will help it mix in easier if it is. Take it out of the refrigerator as you gather ingredients to make the recipe. 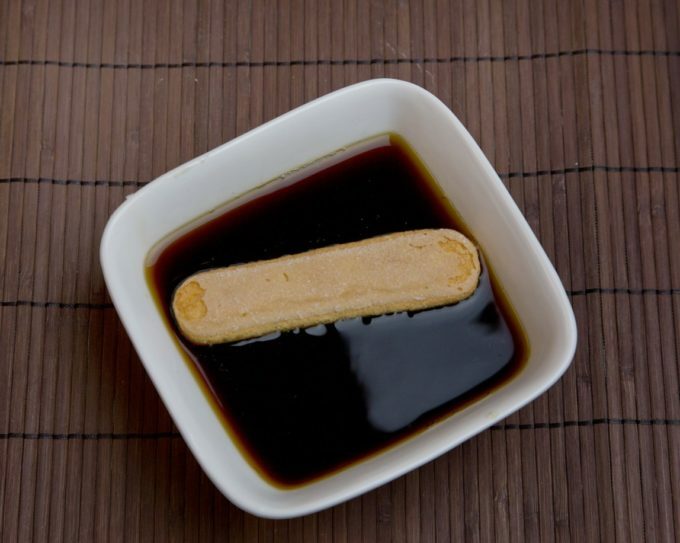 Mix the cold espresso with the coffee liquor and dip the ladyfingers into the mixture just long enough to get them wet, do not soak them! 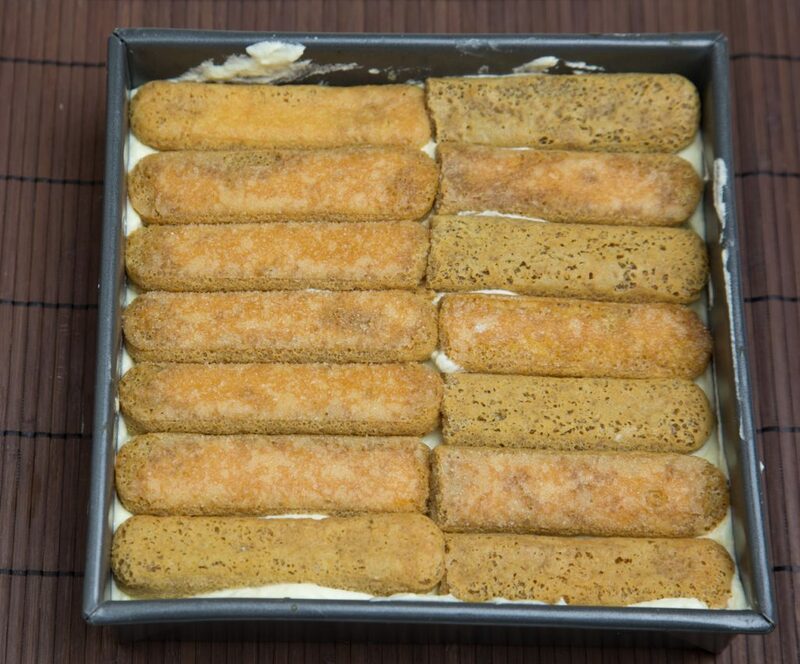 Spoon half the mascarpone cream filling over the ladyfingers. Refrigerate at least 4 hours. Overnight is best. ***If you can't find Mascarpone in your stores. You can make this substitute. It won't be exactly the same but it will come close. 8 ounces full fat cream cheese, 1/4 cup whipping cream and 2 tablespoons softened unsalted butter, whip until it's just blended. This will give the equivalent of around 1 1/4 cups mascarpone. Whipping your cream is also where some people make a mistake. The idea with whipped cream is to do it slowly. Begin whipping the cream on low, increasing the speed over 10 minutes. This makes a whipped cream that will last for days in your fridge without the aid of gelatin. Soak the ladyfingers in the coffee mixture briefly. Don't let them get soggy, it will ruin the dessert. 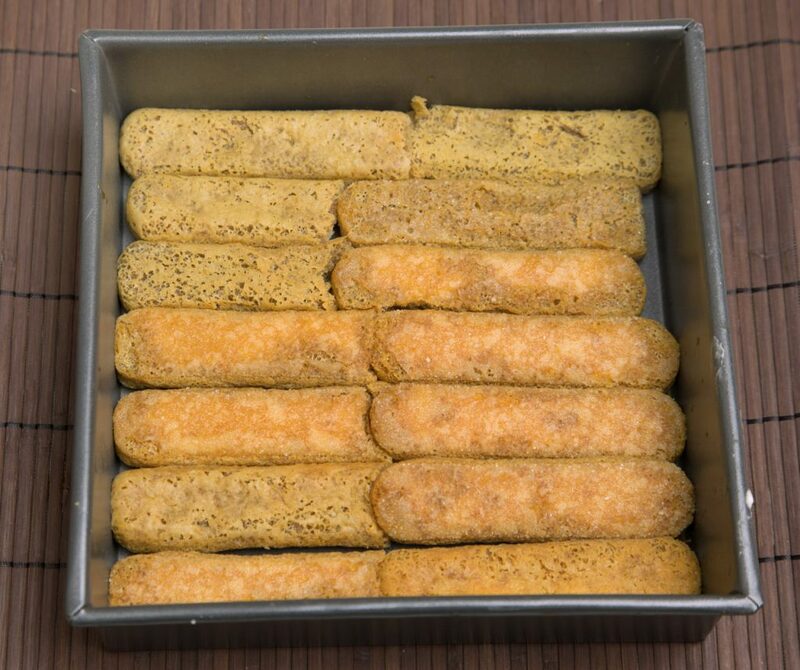 Only use Crunchy SAVOIARDI (ITALIAN LADYFINGERS) Cake style ladyfingers will get too soft. Allow Tiramisu to set up for at least 6 hours before serving. Overnite is best. Have the eggs and mascarpone at room temperature before making this recipe. That will help them mix together more smoothly. 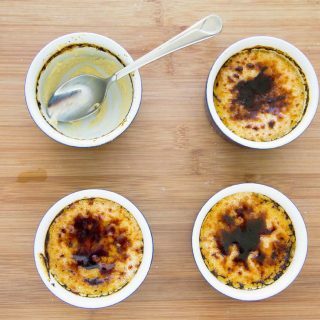 Crème Brûlée Recipe – Easy and Delicious! It’s our favorite dessert! Thanks so much for trying my recipe and the great review!! My favorite Tiramisu was in a café in Toronto but if it is on the menu I order it. I have had some bad ones but I love it so much I enjoy most of them. I have only tried two recipes which I admit were not even close to my favorite. I saw your recipe and I thought this will be good. We were having an Italian themed carry-in at work so I made meatballs and tiramisu. This was a huge hit. I followed the recipe exactly and it was easy to make and tastes terrific. I think it is the second best tiramisu I have ever had (I think Toronto still wins but that was 15 years ago) . I have several co-workers that are tiramisu lovers and they said this was the best they ever had. 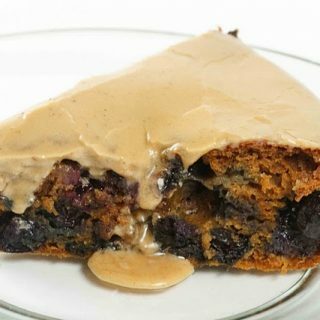 I will make it to the recipe again but for me I will cut the sugar by 1/4 of a cup it was a tad sweet for my taste but I really do not like really sweet desserts so I think that will make it PERFECT. Thanks for sharing this I am thrilled to be able to make this anytime now and know I will LOVE it. My co-worker is making a pan this weekend, her husband loved it and like me they order it whenever it is on the menu. I am going to try more of your recipes now. thanks for the feedback and the great review Laura! This recipe I just made today as my birthday cake. It came out successful. I loved the authentic taste. Amazing! Everyone who tries it wants this recipe! Thank you so much for leaving this comment, you made my day! I hope you send everyone to my website for the recipe and more deliciousness to inspire them in the kitchen. Thank you so much for sharing! I’ve never traveled to Italy but I do love the Tiramisu from Olive Garden (about as close to Italy as you can get in OKLAHOMA!). I’ve always been a little intimidated but a dish I perceived as so fancy, but I gave it a go with your recipe and assistance, and I was stunned by how well it went! It was so much easier to make than I had thought and tastes just as good (if not better!) than the Tiramisu I’ve had before. *eats happily* All of the stomachs in my house send their thanks as well! You are very welcome and I’m so happy to hear that you enjoyed my tiramisu! I hope you get to try more of my recipes. Hi chef I just made this recipe this evening I cannot wait to have this tomorrow for dessert after we have lasagna! This recipe was easy to follow and I will definitely make this again for my family. thank you for sharing! God bless! Thank you so much for such a great rating and comment Lydia, I’m very happy to hear you enjoyed my recipe! I hope you find more to try. Thanks so much for the great review Gwendolyn, and hopefully next time the tiramisu will come out perfectly. Once you master this recipe you have to try my chocolate mousse! Thank you so much for this recipe. I always wanted to make this for my husband birthday but never did. Till now and my husband loved it. He even said it’s the best tiramisu he has ever tasted. Thank you again and will be making it a lot. You are very welcome Carol! Thank you so much for taking the time to make my tiramisu and for such a wonderful comment! This recipe stands up to the claim (how often can you say that?!) .. this is indeed the very best Tiramisu I have ever made or tasted. I made this for a dinner party and my guests (including a baker) couldn’t stop raving about it. GRAZIE!!! Now that’s what I like to hear! Thank you for the great review and comment Jenn! Hello! My boyfriend adores Tiramisu and he will be out of town for his birthday. I will be traveling 4.5 hours to see him. Do you think this would hold up in an insulated carrier? it should travel well as long as its kept cold while you’re traveling. Optimally 45 degrees or below. So make sure the cooler is iced or has freezer packs. You should also make the tiramisu 24 hours ahead of time to let it set fully. Thanks so much 🙂 ! Thank you so much for this recipe. It is similar to the one I’ve been using but I am anxious to try yours! One thing I experienced was dipping the (store bought) Lady Fingers into the liquid made them so soggy that they fell apart – no matter how quickly I dipped them so I ended up brushing it on with a pastry brush so I could better control how wet they became…it worked! Now I’m off to visit your website. I have used the pastry bush method on the cake ladyfingers, but the Italian usually hold up well enough. I’m happy to hear you like recipe and I hope you find more delicious dishes to make at my website! I made this tiramisu for an Italian dinner I hosted last night and it was a hit! My husband has never liked tiramisu and really liked this one as he said it was not as soggy as most. A big plus is how easy it is to make – thank you! Thanks for letting me know you and your husband enjoyed my tiramisu! It really is a show stopper! I made this yesterday as the dessert to a Valentine’s Day dinner and it came out more perfect & delicious than I could have hoped for. Thank you for this amazing recipe, it tasted exactly the way I want tiramisu to taste and was surprisingly not as difficult as I’d imagined! I’m very happy to hear you had a delicious Valentines Day with my tiramisu recipe! 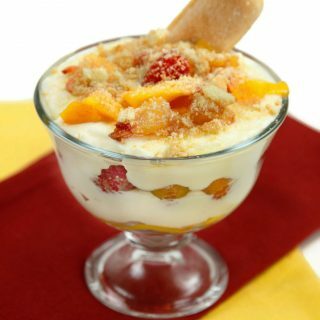 Now it will be your goto dessert! Thank you so much for letting me know my tiramisu was a hit and then you found it fairly easy to make. You’re right with the 30 minutes but that really isn’t too bad for a dessert that delicious! Thank you so much for this amazing recipe. I made it last night and couldn’t keep myself from eating it for breakfast 😋. It tastes awesome, thank you so much. This is one dessert we do eat for breakfast in our household, its just too hard to resist. Thanks for the great comment! This recipe deserves 10 stars !!! I live in Montreal and we tried many tiramsu in different Italian restaurants but yours it’s THE BEST ! I just made it to celebrate Valentine Day . The first time I made it it was for my boyfriend birthday. For so long I wanted to make a Tiramisu and when I found your recipe I just said : that’s the one 🙂. I can tell you that it’s was a big success and myboyfriend was impressed. Wow! Thank you so much for such a nice comment! I’m very happy that you enjoyed my recipe and it will be your go to dessert! Recently I ordered tiramisu at a chain “italian” restaurant (I won’t name names). It was a huge disappointment and I decided then and there to make a fabulous tiramisu for my partner because his first experience of tiramisu was that nasty piece we were served. I looked at a lot of recipes and this one caught my eye. Now, I don’t consider myself a wiz in the kitchen. This recipe was easy to follow. And it’s AMAZING! I’m so happy with the texture, flavor…everything! My partner finally got a real tiramisu and we will never eat nasty tiramisu again! 🙂 I used Crown Royal instead of the liquore because it’s what I had on hand. So tasty, but it was a bit strong! That’s the problem I have anymore, I love tiramisu and will order it at restaurants only to be disappointed. I’m glad you tried my recipe to see how easy it really is to make exceptional tiramisu. I would just leave the alcohol out altogether if you don’t have the Kahlua. Thank you for leaving a great review, I’m happy to hear you enjoyed my recipe! This truly is the best Tiramisu recipe ever! I made it on 19th Jan 2018 and it was amazing! I watched the video step by step and followed directions accordingly and honestly, I had fun making it too. From whipping the heavy cream till the end of arranging the lady fingers. It was really fun. And everyone loved it. My husband said it was the best Tiramisu he had ever had! Thank you so much Chef Dennis for sharing this lovely recipe. This recipe will be my forever tiramisu recipe! I can’t wait to make it again! Thank you for trying my recipe and leaving such a nice comment Olivia! You made my day! OH. MY. GOSH.! This IS the best tiramisu… Hands down. I have made it a couple of times but didn’t use mascarpone cheese or the Kahula and that is the key. I made this exactly as the recipe called for and I wouldn’t change a thing. It is going to be my “go to” dessert for now on. Thank you so much for leaving such a great comment! I’m very happy to hear you enjoyed my tiramisu! YOU ARE NOT KIDDING! I was looking for a tiramisu recipe to make for my 89 year old mother-in-law’s birthday dinner as it’s her favorite dessert. Most recipes I found had mixed reviews, so I decided to try this. I made two batches and used a bit of kahlua in the coffee. Every one of my dozen+ invitees raved and said it was the best they had ever tasted! I served very large pieces and everyone said they were too large, but of course, it was all devoured because nobody could stop eating it! It was so creamy and delicious; better than any restaurant tiramisu. Thank you! Thank you Claire! I’m always happy to hear that my tiramisu made people happy! I think I need to make a tray up this week, I do love my tiramisu! Thank you for this! Delicious. 2 questions, I am unfamiliar, so don’t mean to offend. I felt like the cream was too light and airy, is there a way or technique to make it more apparent? Would freezing this ruin the taste or texture? I’d like to be able to cut perfect squares, but it’s too soft for my skill level. Thanks! This is the traditional style of cream for Tiramisu, but If you’d like the cream to be more dense, you could add an additional 4 ounces of mascarpone to the mixture. 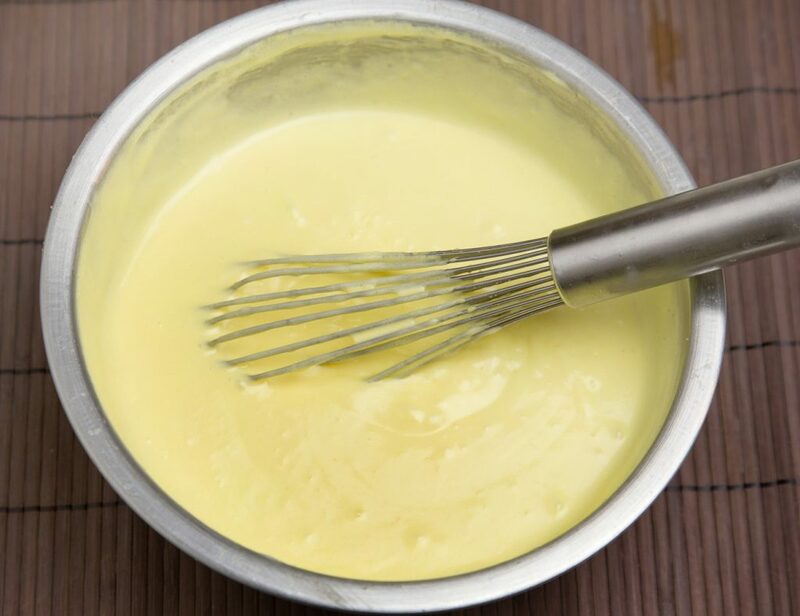 If it seemed to loose, make sure the whip creamed and sabayon were thickened enough. And It can be frozen but it will definitely change the texture of the product when it thaws. Of course, you may be the only one that notices the difference if you’re serving it for the first time. Did you let it harden up in the refrigerator? I found that mine was very easy to cut and keep into well-formed pieces after refrigerating for at least 4 hours. The one I made the day before was even better. When I make this again, it will definitely be the day before I plan to serve it. 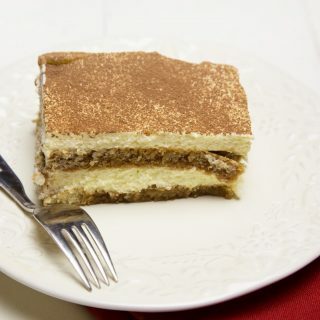 No fooling – this is the best tiramisu we’ve ever had and we just returned from a trip to Italy! We did not have coffee liqueur, so I made 1.5 cups of coffee and added about 2T of vanilla extract. The result was so so so good. Thank you for sharing this delicious recipe. You are very welcome Julie! I’m very happy to hear you enjoyed my recipe and the Kahlua is just my little touch and can be left out. I love the idea of adding the vanilla instead. I used this last night for dessert for New Years. Only got to refrigerate it for 24 hours. I originally shopped for another version, so I made it with Kopke White Porto instead of Kahlua and icing sugar instead of regular. Made sure to brew very strong coffee. It was beautiful! Thank you for sharing the recipe. We really enjoyed it, and I will definitely make it again. Wow, just wow! If I can make this, ANYONE can make this. I hardly cook anything…ever. I eat popcorn for dinner. I spent more time trying to find Lady Fingers ( I went to 4 stores) than I did making this recipe. Thank you Chef for sharing your recipe. I got a wild hair & decided to make this for my brother for his birthday. It was absolutely delicious & everyone loved it! Hi, will be making Tiramisu from your recipe for the third time tomorrow. It’s absolutely gorgeous and is a winner every time. Tastes as good if not better than the tiramisu we had in Italy this year. Would recommend anyone to try it. Five stars. Thank you for such the great review and comment Deb. I’m happy to hear you’ve been enjoying my tiramisu recipe!! I have just used you recipe to make dessert for xmas dinner and to help the wife out .it turned out perfectly and was as good as if not better than any restaurant I’ve eaten it in if i say so myself lol.dont think the wife was impressed by the amount of dirty pots i made though.thanks for the recipe. I’ve just made this to your recipe for our dessert on Xmas day and I was very pleased with the results.i don’t normally dwell in the kitchen but thought it would help the wife out a bit lol.it was as good as if not better than I’ve had in any restaurant if I say so myself.dont think the wife was impressed with all the dirty pots I made though.thanks for the recipe I will do it again no doubt. I’ve had it last about 5 days and it was still fine. I’ve never had any left after that amount of time but I think it would last even longer. You could freeze it but it won’t be as good at it was before freezing. Thanks for using my recipe Charlie! I had to make my own ladyfingers, weren’t pretty but tasted fine. I used a cup of coffee and 1/4 c. kahlua for dipping – the ‘filling’ turned out really well. I should have video’d the whole experience…rigging a double boiler was a feat in itself! The dessert is now assembled and hidden in the fridge!! They aren’t allowed any til Christmas Eve! I’m sure it will be delicious and congrats on making your own ladyfingers! I’ve made your Tiramisu several times and it always gets rave reviews. In fact, it is a special request for dessert at our family Christmas dinner! Question: How far in advance can I make this? Normally I do it the day before, but it might prove problematic this time. If I make it two nights before, is that too far in advance? I’m worried it will start to turn runny. hi Linda, I am very happy to hear that my tiramisu has become a family favorite at your house. There is no problem with the tiramisu holding up for up to a week. I’ve just never had it last that long. Making it 2 or 3 days ahead of time should be no problem. Thanks so much Dennis – that puts my mind at ease. You are right, the dessert never lasts once it’s served! Merry Christmas! make sure you whip the heavy cream slowly (7-10 minutes) that is the reason many things break down. Ahh . . I did not know that. Thank you Chef. I have just made this as a gift for my neighbour’s birthday, it is his favourite, I haven’t tasted it myself [yet] but I licked the bowl and the sabayon is divine, so rich but light and creamy, thank you for the recipe! Thanks for letting me know, I hope your neighbor enjoys the tiramisu! Best tiramisu I have ever made! Thank you! Thank you Svetlana! I’m happy to hear you enjoyed my favorite dessert! I made this recently as a birthday cake for the wife. She loved it. Thank you for sharing the great recipe. I stopped by your site and the tiramisu came out perfectly! thanks for the feedback and I’m happy to hear your wife enjoyed her birthday cake! thank you so much for letting me know you tried my Tiramisu and that you enjoyed it. I love sharing my recipes and knowing that reaches so many distant places makes me smile! This recipe was outsatnding! Follow it to the T and you won’t go wrong! It was absolutely delicious and a huge hit! Usually when I come across a recipe I want to make, I find elements/ingredients I manipulate to improve it. Not this one. It’s perfect in every way. Measurements, ingredients, and instructions are spot on. It was so simple, I was almost worried if it was right. Kudos to this recipe and thank you so much. I was looking for a good tiramisu recipe for some time. This ones a keeper and my future go to. I’m sure I won’t ever need another one. I tried your recipe for tiramisu for thanksgiving, it was my first time making it and it was wonderful. I’ve had tiramisu in Holland and I thought it was good, this was better thanks to you I will be making it again for Christmas because my family loved it. Thanks again and please keep shearing your recipes. thanks for letting me know that you enjoyed my tiramisu recipe, and that you know how easy it is to make I’m sure it will make even more appearances! Thanks Chef Dennis!! I havent made tiramisu in many years as I have lost a recipe i found that was really good. 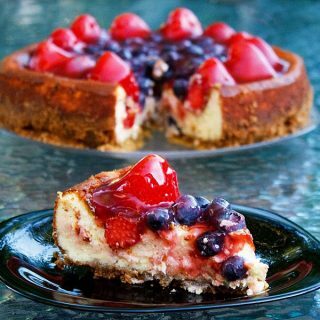 A friend asked if i could make some for her dad’s birthday last week and I searched the internet.. Of all the ones I found, your recipe is the most similar to the one I lost. Your directions were very clear and the final product was SO GOOD .. my friend and her fam loved it. i made an extra one for myself since there was extra mascarpone cheese … My boyfriend, his grandaunt & uncle came over and we cleaned the entire dish! I added kahlua and it was simply delicious. Thank you for sharing your recipe with the world! Thank you for letting me know that you made my tiramisu and enjoyed it, I love hearing success stories. Thank you for your recipe. I tried to make Tiramisu for the first time yesterday, following your recipe. Everything went well until I got to the step where I mixed the yolks, mascarpone, and whipped cream together. The texture was good, but a few minutes later the cheese separated and the cream became very liquid. I am not sure what went wrong, but my guess is that I should have let the yolks to cool off before mixing it with other ingredients. I think it will be good to mention that all the ingredients need to be at the same temperature. It will be very helpful for beginners like me. Thank you and I am very excited to try the second batch of Tiramisu. I have been making this for years and have never let the eggs cool for any additional time. But you are right and I have added to allow it to briefly cool. You do want to make sure you whip the cream slowly, one of the biggest problems with whipped cream is whipping it too quickly. The other thing to make sure is that both your eggs and cream are as fresh as possible. The older the products, the problems like separating are more apt to happen. it’s heavy whipping cream that you turn into whipped cream. I’m afraid I have no idea what breakfast sugar is. But if its too sweet, just cut back the amount to your liking. Superfine is just regular sugar in smaller granules, if I can’t find it I just pulse regular sugar in my food processor for a few seconds. Thanks a ton. I added bit go sugar to the coffee Kahlua mix to compensate for the overall sweetness and the Tiramisu turned out to be awesome. Thanks for this recipe. I am Spanish but have Sicilian background, I grew up on beautiful Italian food, I had a trustworthy Tiramisu recipe but lost it after my divorce with the trauma of it all I lost a lot of things and was devastated when I couldn’t find my grandmother’s recipe book. I came across your recipe just now and it’s almost identical to the recipe I remember making – I will give it a try this weekend as I have friends coming over tomorrow for dinner, a friend who’s mother committed suicide a year ago and she wants to spend time with friends on the anniversary of her mum so I offered to cook a simple dinner and delicious dessert for her and a few other close friends to give her support on this difficult day. I haven’t made this dessert in over 10 years but am excited to try your beautiful recipe and hope it turns out- I’m sure it will 🙂 thanks again for sharing your recipes. Thanks for stopping by Paula and I hope you enjoy my recipe for tiramisu. let me know how it turns out if you have a chance. The tiramisu turned out amazing, so delicious. One of my guests said it was the best tiramisu they had ever had. It was a great evening. Thank you for sharing your recipe. you are very welcome Paula! I’m thrilled to hear that the tiramisu was a success, that is always a joy to hear. as you whip the sabayon it will cool. Just allow a few minutes off the water while you whip to cool it sufficiently. Regular sugar is fine, if you can find superfine aka bar sugar that would be better. It will not fully dissolve right away but will continue as it sets. Finally nothing is to be added to the cream. Thanks for your prompt response. Just another query – I could only find a 250gm mascarpone pack, loose cheese was not available at my local store. So does using 250gm instead of 284gm alter the output of tiramisu? Also is it okay to pick up espresso shots from the local barista in absence of a French press at home. Thanks again. The small difference in the cheese won’t make that much difference in the final product. Also feel free to pick up your espresso at your local coffee shop, or you can even use strong coffee or instant espresso. Thanks a ton! Planning to make it on Friday, will definitely update you. Have a good week! Now these are the success stories I love to hear Carol! I’ll have to try making a taller version it sounds even more delicious and I’m sure stunning! Thank you for this wonderful recipe. Tiramisu is one of my favorite desserts but I have never made it at home. After reviewing a few dozen recipes, yours caught my eye. I’m happy to say without a doubt that this was the best Tiramisu I have ever tasted! I was pleasantly surprised that it even tasted better then the Tiramisu from my favorite restaurant in Little Italy! Awesome! 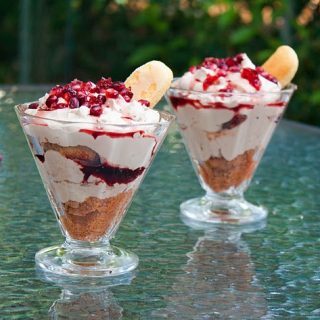 Thank you Lisa, it really is a delicious dessert and now that you’ve seen how easy it is to make you’ll be able to enjoy it at home not just at a restaurant. For the last 20 years, since we were only just dating, my husband’s only birthday request has been my homemade tiramisu in lieu of birthday cake. It took me many years of tweaking and culling to come up with what we considered the best recipe. Just this last month in Harvey, our home was under floodwater for 2 weeks and my recipe was lost to the storm. Now that his birthday is coming up in a few days, I was so sad at the thought that our tradition was compromised, but looking over your recipe, it looks to be almost exactly the same as ours!!! (I apologise if this sounds presumptuous, although I work in food, I am not a chef.) Thank you for this. In our opinion, it really is the best tiramisu, and thank you for helping us reconstruct our little tradition. Thank you! I’m happy to hear you enjoyed my tiramisu! I can’t thank you enough Chef! I made this one last night (as requested from my daughter/birthday girl). I was able to whip it up fairly quickly with gorgeous results. We won’t be able to eat it till tonight which is perfect as tiramisu is much better if it sits and settles for 24hrs! Either way the results were nothing short of perfect!! Thanks for letting me know you tried my tiramisu Gail! I’m very happy to hear that it was a success. And tiramisu is one of few desserts my wife will ever eat for breakfast. Honestly the best tiramisu i’ve ever tasted, making it again for a birthday party tomorrow. Such a good find!! Thank you! Thank you Jessica! I’m very happy to hear you’ve been enjoying and sharing my tiramisu! yummmmm!!!!! Cake is really amazing!!! my whole family really loved it.. Thanks for the amazing recipe!! You’re very welcome! I’m glad you enjoyed it!! This cake is absolutely amazing, what a showstopper! I can’t stop looking at these pictures and wishing I had a big slice right now just for myself. I am very happy to hear that you enjoyed it! Thanks for the feedback!! It taste amazing, chef! I adore this recipe! Your Tiramisu looked Amazing !! I’m not a very experienced baker.. However I have some questions as I couldn’t seem to get it right, please pardon me. When I tried whisking the egg yolk with sugar I couldn’t get the sugar to melt it looked all grainy is that the right texture? Even after whisking for over 10min over..what would be your advice? Secondly when I mixed the mascarpone into the mixture it got a little too runny, even after I added the whipped cream it was still runny. How do I know if it’s the right consistency tonne poured onto the lady’s finger? If you can find superfine sugar (bar sugar) that will dissolve faster, but its not unusual to see a little grit in the mixture, it will dissolve as it sits. What you need to do to ensure the mixture isn’t too runny is to get the egg yolks nice and thick. Also make sure you get a full whip on the cream. My first attempt was a success, according to my co-workers. They loved the creaminess. I’m trying again with homemade lady fingers and want to add a little pudding mix to the whipped cream because I think it was a little runny. Otherwise, pretty darn perfect!! Thanks for letting me know that the tiramisu was a success. If it seemed a little runny, you may need to whip the eggs a little longer or make the whipped cream stiffer. Rather than add in pudding, you could always add 1 packet of know gelatin to the whipped cream, that would help stabilize it. I Chef Dennis, I am a culinary student in the last week of my baking class. I needed to write an essay on Tiramisu, while looking I came across your website and this recipe. It looks very easy and sounds delicious! I am going to try it very soon. Thank you for all the information you include with your recipe, I was able to get answers to several questions from the same place saving me time in doing research. You’re very welcome Gina, I hope you get to try my recipe soon! Thank you! I’m happy to hear you’ve been enjoying my recipe! This was the most amazing recipe! I loved every bite! I was making it for my Tiramisu Snob friend….who said ‘it taste good…..but the TEXTURE is not quite firm enough’. How do you make this wonderful custardary recipe have more texture? Honestly, I am throne for a loop!!! You, perhaps as a chef with experience, can answer this question. But for me…this is the most amazing recipe.I will keep your recipe. I will make again because when I tasted it…it was extraordinary. But for my crazy friend…any suggestions? thank you for trying my recipe and I’m happy to hear you enjoyed it. If it wasn’t firm enough, you may need to either whip the cream a little more or the eggs a little more. Or it may be that your friend has not had only restaurant tiramisu that is made to hold for a week or longer with added gelatin or other products. Either way, thanks for trying it and everytime you make it it will get easier and better. What can I use instead of mascarpone cheese as I don’t have it available in my area? Could I use cream cheese perhaps? 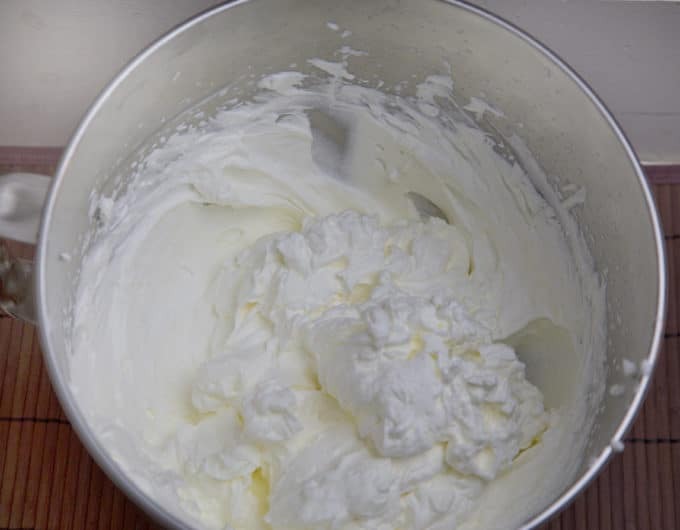 If you can find mascarpone you can try making a blend of 8 ounces full fat cream cheese, 1/4 cup whipping cream and 2 tablespoons softened unsalted butter, whip until its just blended. This will give the equivalent of around 1 1/4 cups mascarpone. I have never made tiramisu before and have only tasted it once in my life I think, but a friend asked me to make it for his wife’s birthday and I decided to try your recipe mainly because of the title. Everyone raved about it at the party and said it was the best tiramisu they have eaten, (and those comments are coming from serious tiramisu lovers who have eaten it at outstanding Italian restaurants!). This recipe is definitely a keeper and will be my go-to recipe for tiramisu from now on! Thank You! Thanks for the recipe! One of my coworker’s said it was the best thing she has ever eaten, so I’m going to make it again for her birthday. thanks for stopping by Michelle, I’m happy to hear the tiramisu was a hit! You are right,this IS the best tiramisu recipe I have ever tasted! Thanks for sharing, Chef Dennis. Thank you Sherry, I’m happy to hear you enjoyed my tiramisu! I have been making this recipe for years. The previous recipe used egg whites instead of whip cream. I prefer this recipe with the whip cream. The only thing I do a bit different is use about 4 tablespoons less sugar. Thank you so much for this recipe. I made your tiramisu yesterday, it is the best for sure. The mascarpone cream tastes amazing. I ended up with two loaf size cakes, the half size is an ideal for the small group. I did them upside down simply because I did not find the right dish, bought two aluminum disposable dishes because I wanted to try your recipe asap))) I placed cakes into the fridge for a while, then took out, and flipped on plates, finished with cacao powder, and dark chocolate crumbs. Yes, it was fine after 4 hours in the fridge, but much better next day, it feels like more flavor “opens up” next day. I’ve tried so many versions named Tiramisu from local restaurants of stores, this is the REAL one! No need to look for tiramisu, I can make my very best own! thanks again for trying my recipe and for the comment! Next you’ll have to try my chocolate mousse! I definitely will try your chocolate mousse! But for now I made your chicken marsala today. Although I could not find the exact wine, only Holland House Marsala was available at Publix, it was pretty good. Very simple, and elegant recipe. Thank you Lana! when you have a chance stop by a liquor store to find a better marsala choice you will be amazed at the flavor. I use the marsala sauce regularly for dinner. 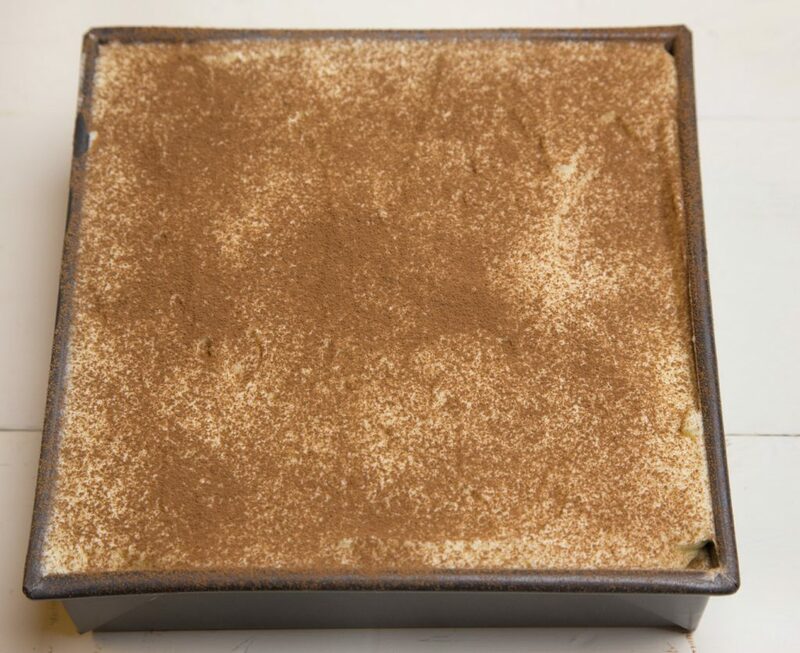 What is the recommended amount of time the tiramisu should be in the fridge before I serve it? Is there a minimum amount of time for the tiramisu to set? Will serving it about 24 hours after I make it be too long in the fridge? Thank you! it needs at least 4 hours to set up properly, and will hold in your fridge for 3-4 days easily. Of course I wouldn’t make it anymore than 24 hours in advance, so its at its best. I always wanted to make tiramisu (because I have to eat gluten free and I can’t go to restaurants to have it) and I found your recipe. Since I’m a firm perfectionist (and a dietitian obsessed with food) I wanted the tiramisu to be AMAZING. And your article convinced me that your recipe will taste like heaven. And it truly does! I love it! I enjoyed making it but my kitchen is not equipped properly yet I had to improvise a bit. For the double boiler I had to use two not really good pots and I almost lost my mind during stirring the yolks in it. But it was worth it. It went pretty well for my first tiramisu ever made but…. the whipping cream betrayed me. I overburnt the whipping part and it was a bit clotted. But next time I will be better. We learn from mistakes, right? And now I will never trust a whipped cream again! (Kidding.) Anyway… I wanted to thank you for your recipe because as I said, tastes like heaven and like a true Italian tiramisu. Since I have Celiac disease I was so sad I can’t eat tiramisu in the restaurant anymore and now I can make my own at home and even better one (if the whipping cream cooperates!) than what is served here in my city in coffee houses. thank you so much for trying my tiramisu recipe and next time it will be perfect! I’m happy to hear that you can now enjoy your very own GF Tiramisu. Wow!!! I followed this recipe exactly as it is written and I couldn’t be happier! This was my first attempt at tiramisu so I was a bit nervous but it turned out great! Spring is filled with birthdays in my family so we get sick of the traditional birthday cake. I thought this might be a nice treat for my husband’s birthday. He absolutely loves it! Thank you so much for sharing! I’m very happy to hear that you made my tiramisu recipe and that it was a hit! It is such a delicious dessert and after you make it a few times it becomes easy enough to make for all your special occasions or just to spoil your friends and family. Thanks so much for the wonderful comment Cheryl! thanks Janet, I hope you enjoy my tiramisu! I have made Tiramisu attempts before but this recipe topped it off. The saboyan turned out beautifully and so as the other parts of the recipe-a real treat on Mother’s day. I am from a small dotted island called Tonga in the South Pacific. 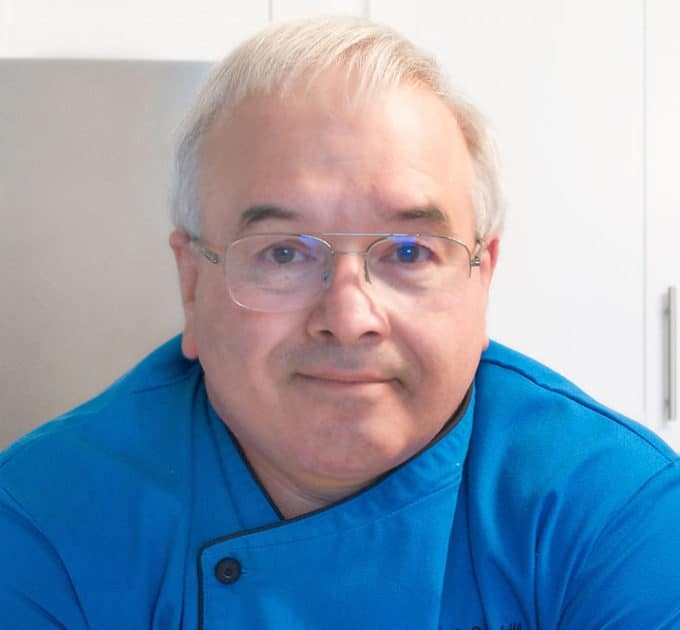 I love trying out recipes and exploring flavours – resources may be few but i try to be creative. I replaced lady fingers with a homemade sponge cake, sliced it thinly and layered them on the pan. It gave it a beautiful home made scent with the buttery taste of the sponge cake. Thank you Chef Dennis for sharing this, i look forward to try out your other recipes. My family and I thank you. thank you so much for trying my recipe and for leaving such a wonderful comment. It thrills me beyond words to know that its reached your island of Tonga and I know your version with the sponge cake was ah-mazingly delicious and I may have to try it next time I make tiramisu. Yes, it IS the best tiramisu I will ever make! I’ve made tiramisu for years in search of the perfect recipe. Nothing has compared to what I’ve eaten in visits to Italy. I like tiramisu because of its balance of subtle flavors: the hint of chocolate in the dusting, the silky, smooth sweetness of the sabayon, the airy lightness of the ladyfingers, and the tang of espresso. This is the first–and only–recipe I’ve found that recreates the delicate flavors and varied textures of authentic versions of this delicious dessert. Thank you, Chef Dennis for this wonderful recipe. It brings back memories of my trips to Italy. It’s certainly the best tiramisu I’ve ever made–and the only tiramisu I will ever make in the future. Perfection! thank you so much for taking the time to leave a comment Patti, and I’m thrilled to hear that my tiramisu brought back memories of Italy. It truly is a my favorite dessert and I too cherish my memories of tiramisu in Italy. 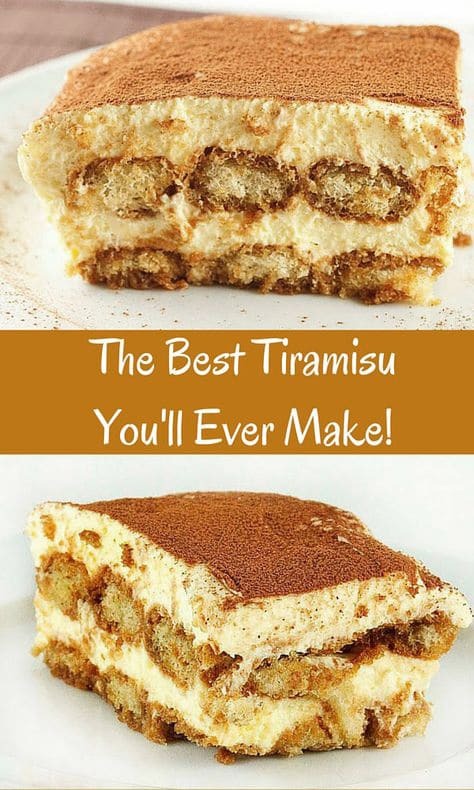 I’ve been making my tiramisu almost exactly like this for many years and it always holds a nice firm shape when cut, yet is so light and fluffy, it’s hard not to eat the whole thing in one sitting. The only difference is I incorporate a touch of Marsala wine in the sabayon. I understand that is traditional. yes Marsala is traditional, it’s just never been one of my favorite flavors in tiramisu, which is why I offer my variation. Which ever way you enjoy this classic dessert its a good thing! Just stumbled upon this recipe when I’m looking for ideas for upcoming Mother’s Day. I think this is going to be awesome to try this out! How do you take Tiramisu out of the container? Without damaging it? Or did you cut it in the pan somehow not damaging other pieces?? Also, I have a 7″ round springfrom pan that I used to make cheesecake, will it works with this recipe portion? it actually comes out very easily after its set. You simply cut squares and use a spatula to lift them out. You can see from my picture how it sits on the plate. The hardest part is always the first piece but after that, it’s really easy. As for a springform pan, it will work in that pan, I’m just not sure of the proportions of my recipe. You may have some left over. A few things though about the recipe. In the ingredients list you have marscapone cheese at room temperature but in the recipe instructions you say that the cheese doesn’t have to be at room temperature. Which is it? What do you do with the egg whites? the mascarpone doesn’t have to be at room temperature but you may find it easier to mix in if it is. I discard the egg whites, they are not used in this recipe. Chef Dennis, I am a tiramisu SNOB and honestly, I can say I’ve only had a very good tiramisu a few times. I came across your recipe because I wanted to see if I could make one to recreate one from a local Italian restaurant that I absolutely love. Your recipe TOPS THEM ALL!!!! It has become my FAVORITE. It’s super easy to make and delicious to the last bite!! My kids devoured it and got upset when they found out I gave half of it away. I’m making it for a baby shower this weekend and I’m sure it will be a big hit. Thank you! thank you so much for the wonderful comment, you really made my day! I always give half of my desserts to neighbors so I won’t eat them with the exception of my Tiramisu…lol Please let your friends know where you found the recipe! I love hearing success stories, thank you so much for taking the time to leave a comment and I’m very happy to hear that everyone enjoyed my favorite dessert!